It’s a wild, wild jungle we work in! Don’t even think of jinxing those moments of peace by saying, “It’s quiet today,” because say the word andyou’re doomed. Some days unwinding takes ten minutes of sitting down with a cold drink. Sometimes it takes fifteen minutes of checking Facebook. And then there are those days when the only way to relax is with some online retail therapy. Here’s this for a cool combo: The Cherokee Flexibles Mock Wrap Top in Jungle Queen with a coordinating camo watch. Fun, edgy, and so fitting for a workplace where survival of the fittest rules! The Cherokee top has two patch pockets and true to the Flexibles form, a flattering style, with princess cut seams. 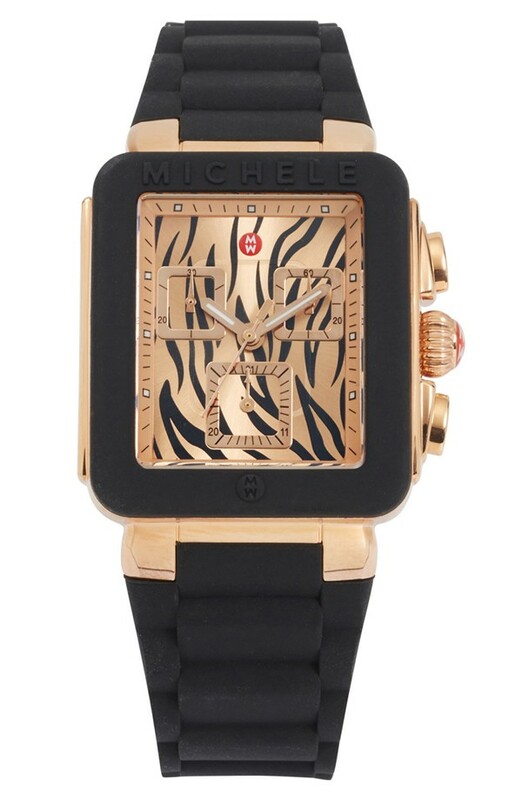 Pair it with the awesome new Park Jelly Bean watch by Michele, which comes in a choice of zebra, cheetah, or tiger print faces. While it is pricey, the Michele watch has a black silicone wrapped case and matching strap for easy cleaning, quartz movement, amazing style, and of course, the brand name of Michele. 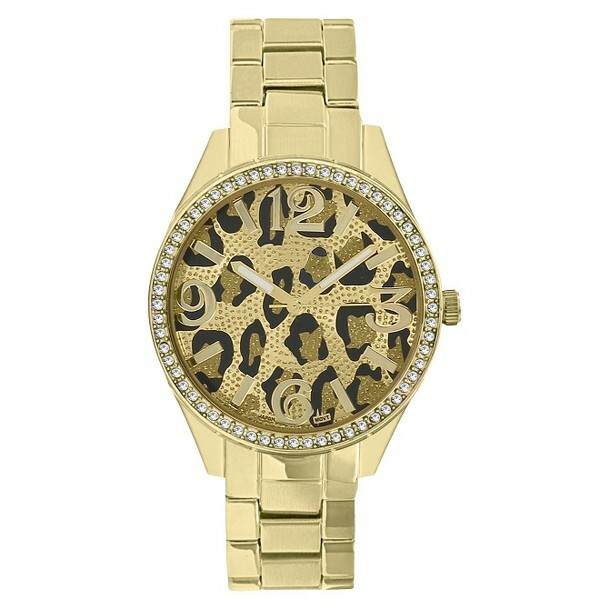 For a more affordable option that will give you the same look, go for the Merona Animal Print Dial Watch. Manufactured by Target’s Merona brand, this watch offers the zing of a tiger print face for just twenty dollars. It has a gold link band and rhinestones around the face. 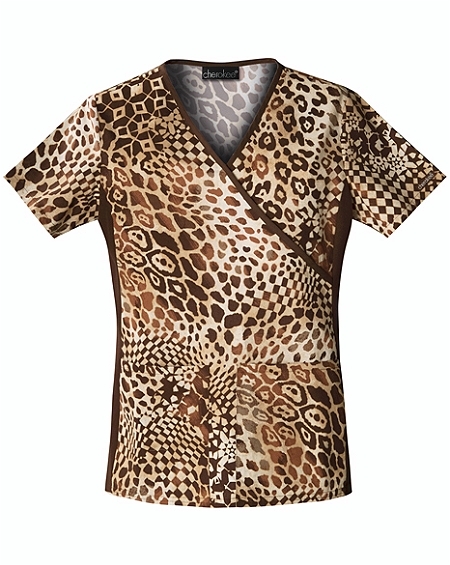 While you can’t get around wearing nursing scrubs, you can spice them up with the latest accessories! Watches are the perfect objects for bringing life to the party because they comply with almost all dress codes. Drop us a line in the comments below telling us about your favorite medical scrub accessories!